Reuse, reduce, recycle. The flexible tubes of bicycles tires from India intertwine to create textures. 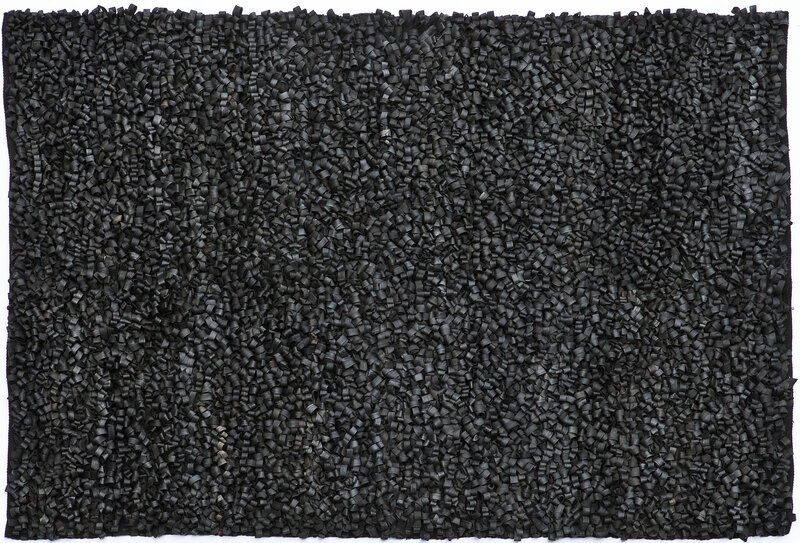 A conceptual rug, sustainable, and unprecedented, made from 100% recycled material, ideal for indoors and outdoors. Each piece is created with 130 to 140 bicycle tubes collected and manipulated in India. In addition to raising awareness of recycled products, Bicicleta also represents a transgressive aesthetic for the most avant-garde spaces. Curiosity and research regarding recycled rubber to create new textures was the driving force behind this project. The solution appeared during a trip to India: inner tubes from bicycle tires, their most common mode of transportation.